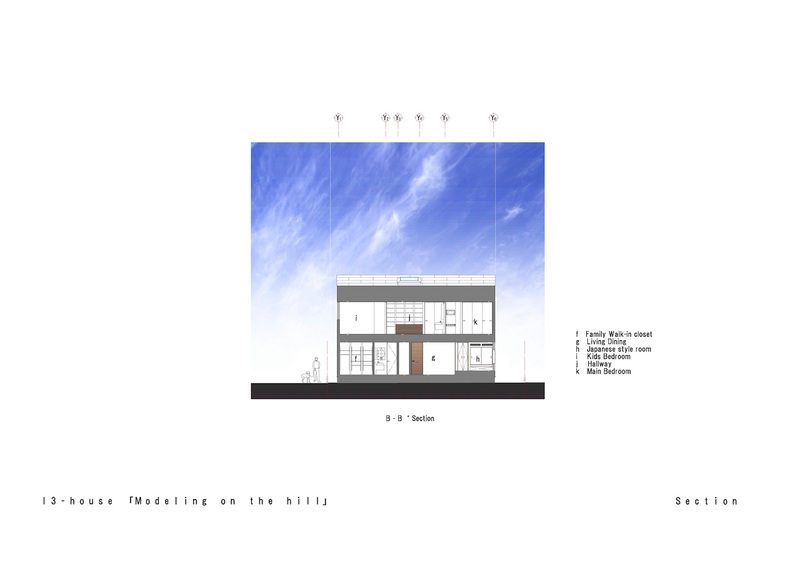 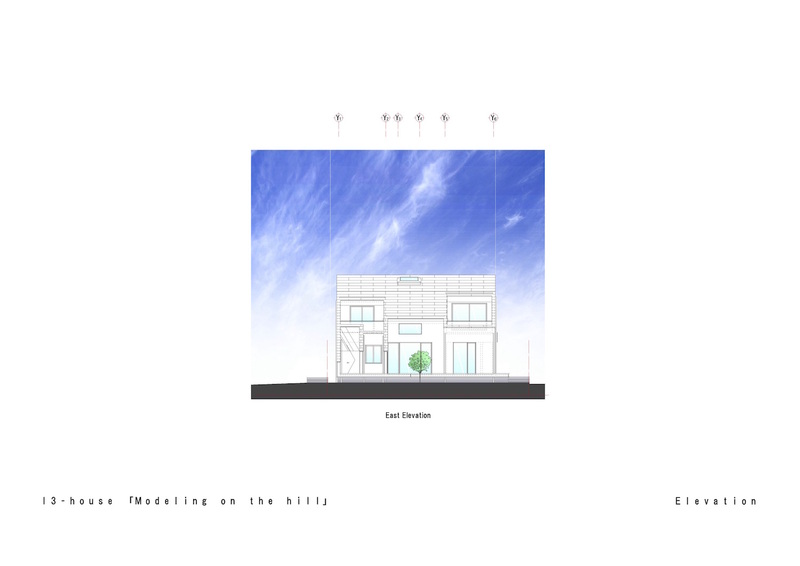 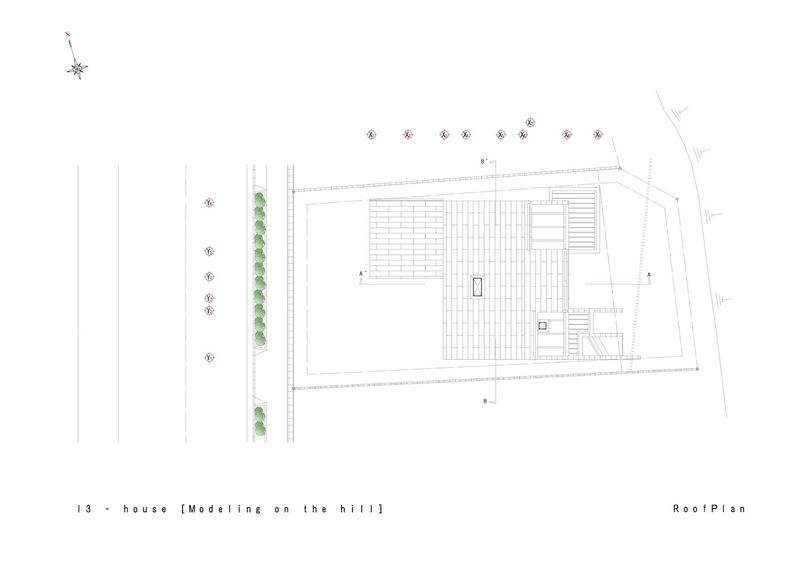 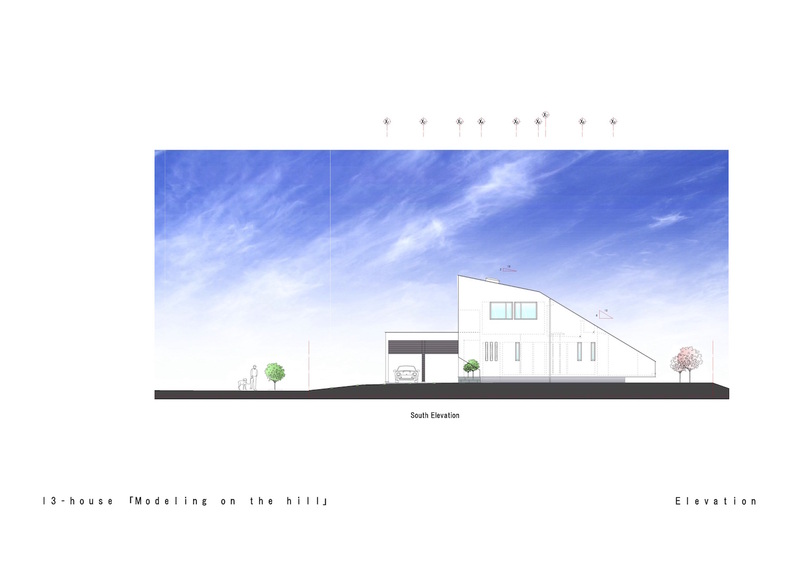 I3-House「Modeling on the hill」was planned in the residential area at the top of the hill of Miyazaki City, Miyazaki Prefecture, Japan. 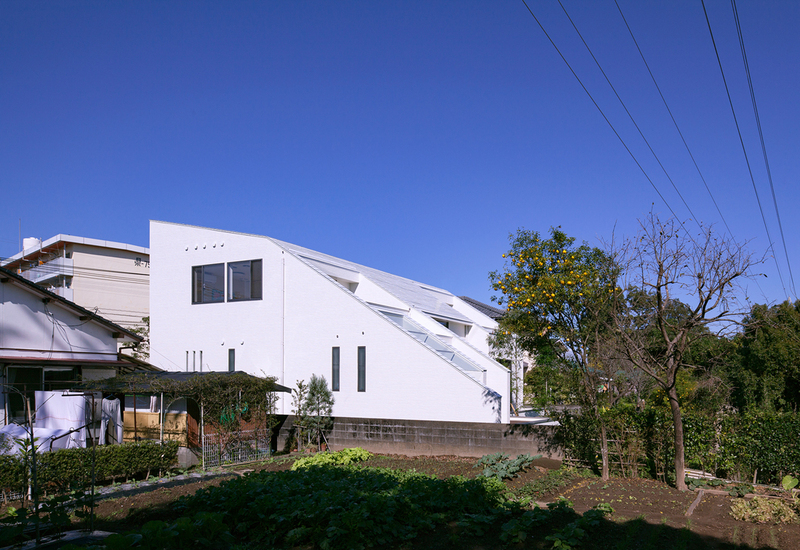 The site surrounded by elementary , junior high schools and parks around it, eventhough the site is facing public road it is surprisingly a quiet place to live. 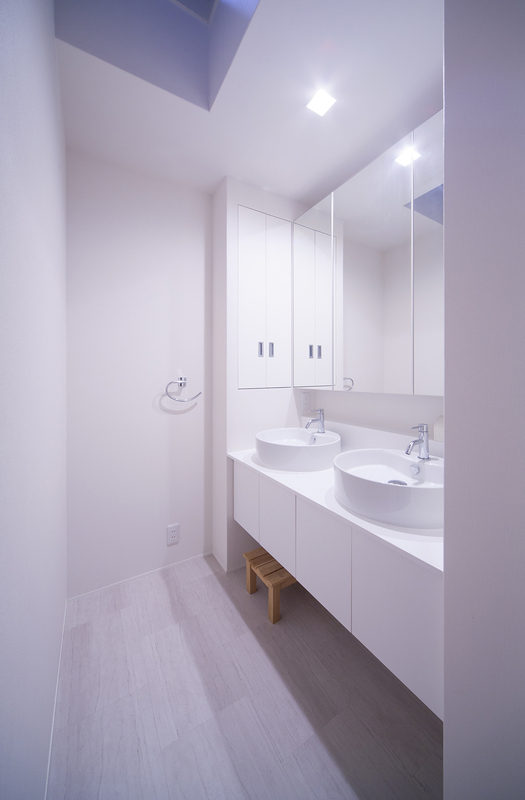 In addition, typoons are often occurred in Miyazaki, also annual rainfall here is recorded to be relatively high compared to other areas in the country. 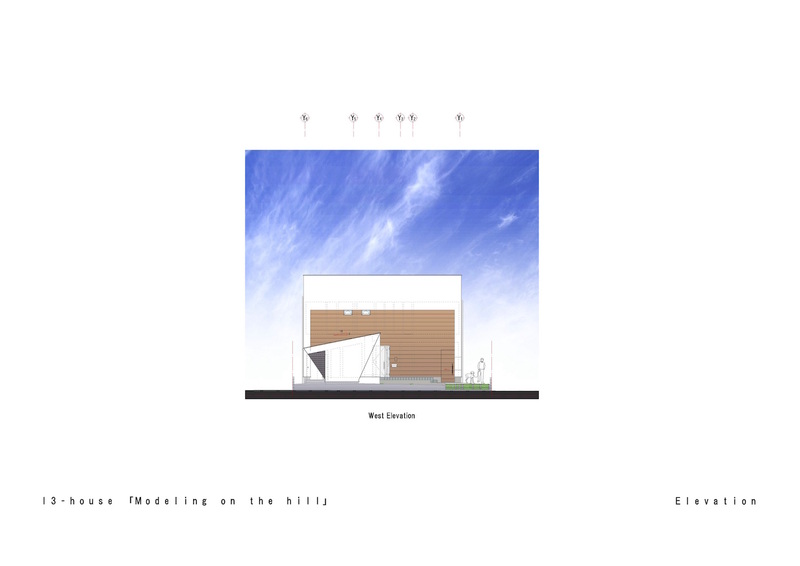 As we proceed with the design, it was necessary to consider legal restrictions and regulation regarding the cliff on southeast part, and also to take account for wind loads from sea direction. 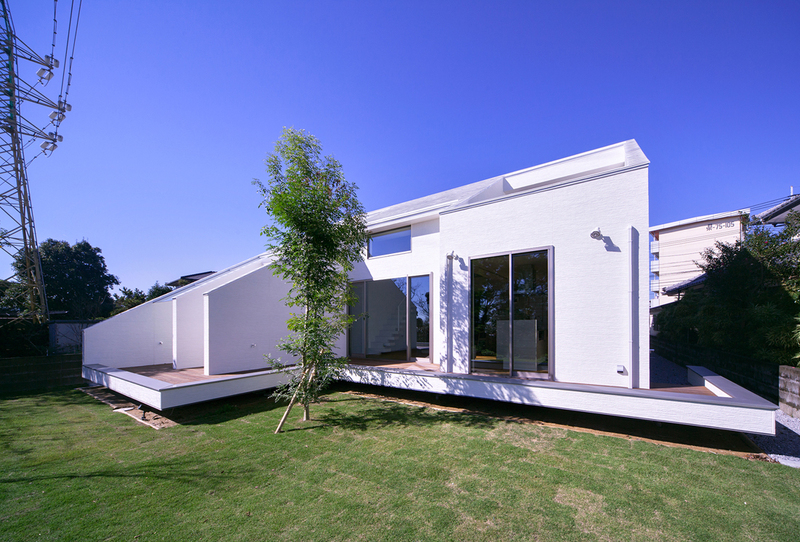 To obey the design legal restrictions, terrace balcony on the southeast side was designed to floated from the ground surface in a cantilever manner, this way one can enjoys spectacular views of the city and Hyuga sea. 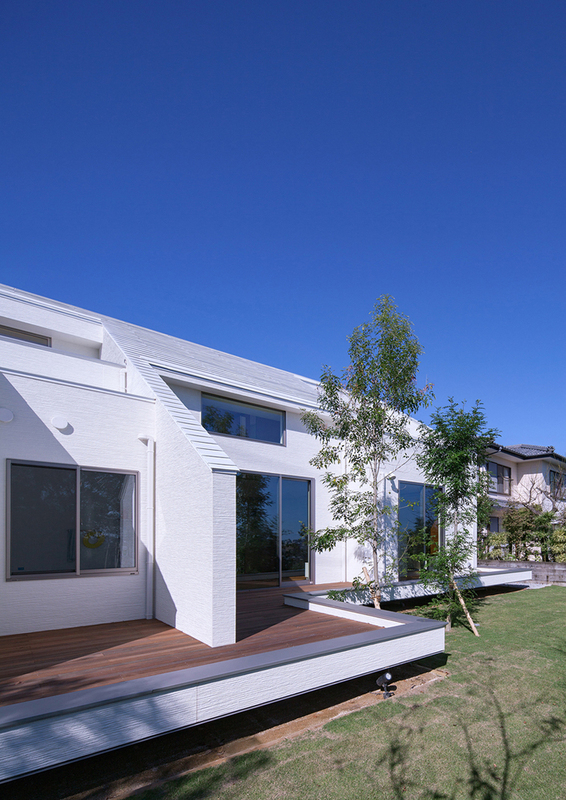 The roof shape was designed in order to minimize the wind pressure loads and in case of typhoon, it was also decided to design the roof without the eaves considering the effect will caused by the windblow. 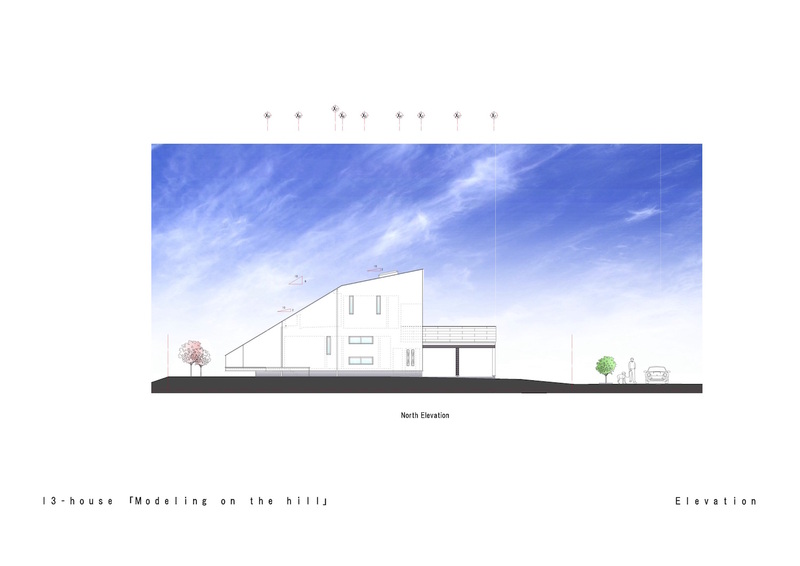 The overall building shape is in result of parking and housing configuration, exterior and roof were highlighted with white color, with gray as accents, and completed with a tree on the outer side of the wall facing the road. 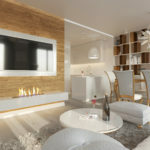 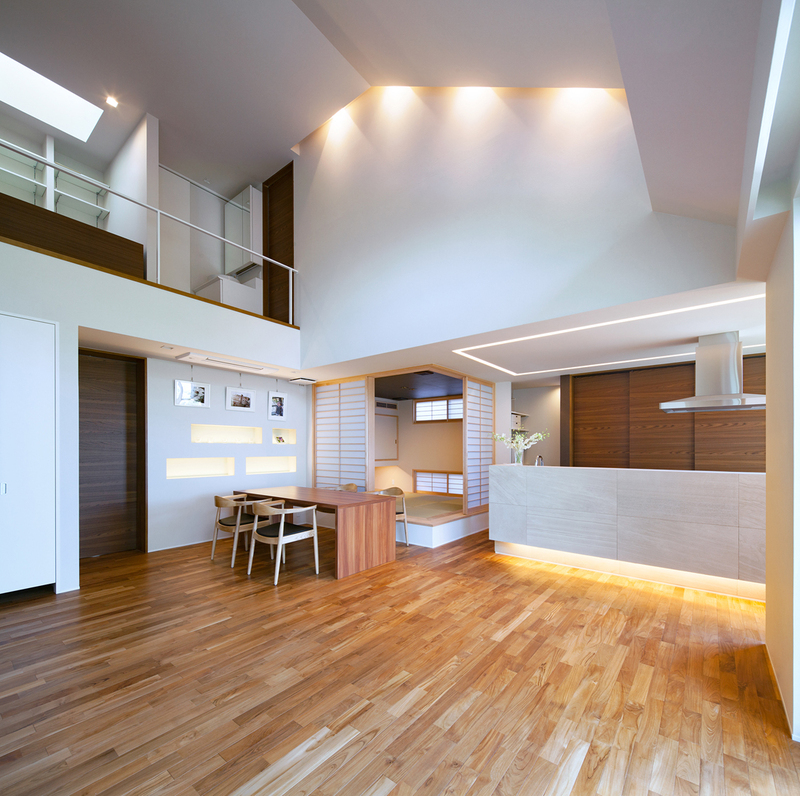 The interior room arrangement was design to let morning sun enter the room, while prevent strong western sunlight penetrate the interior of the house. 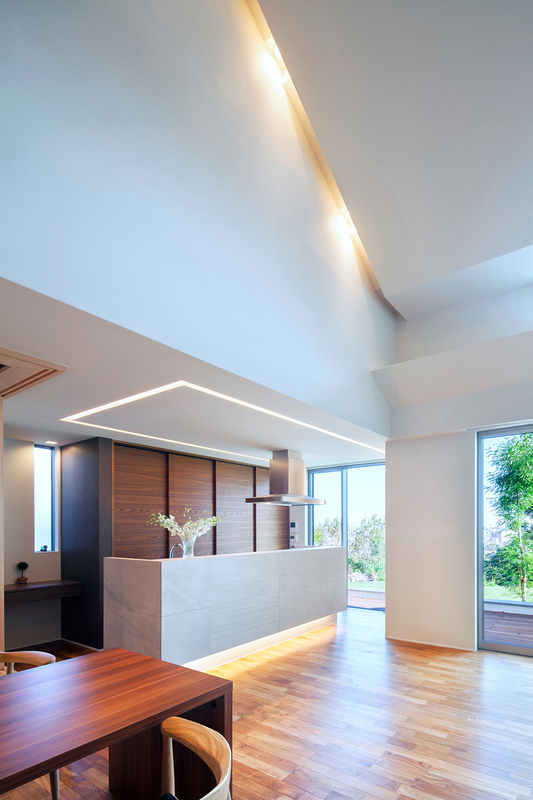 On the living room sky light was provided to give a sense of openness to the space. 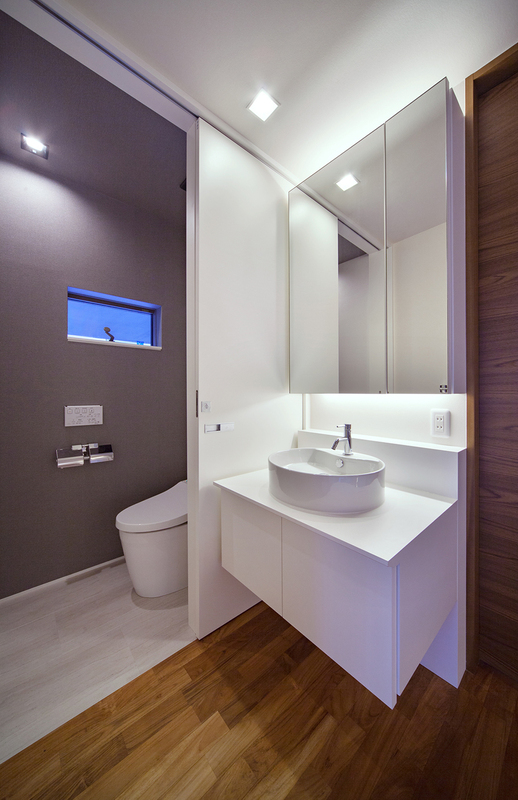 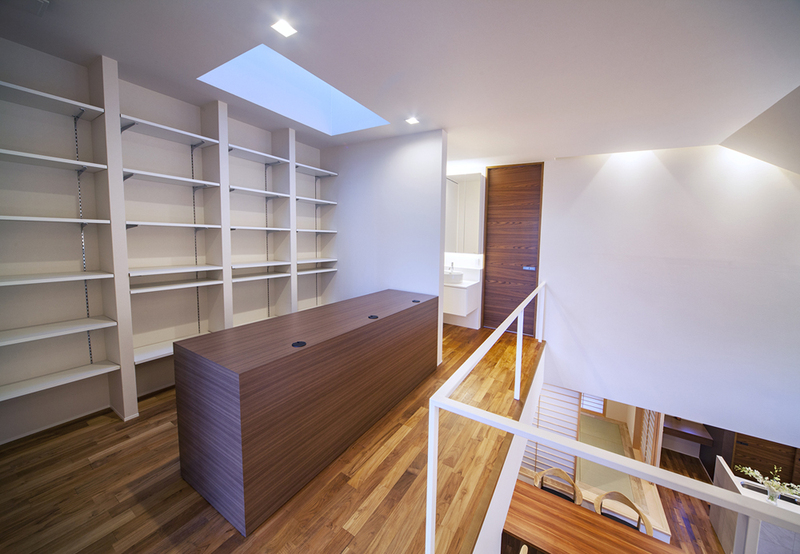 Glass shelf is a demand of the owner, we also provide the indirect lighting to highlight it. 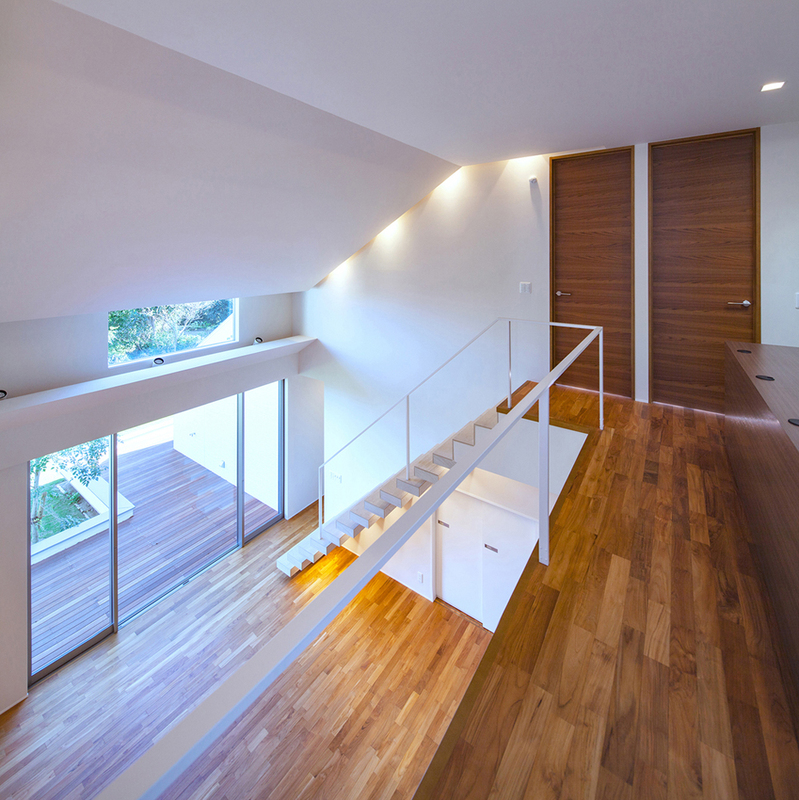 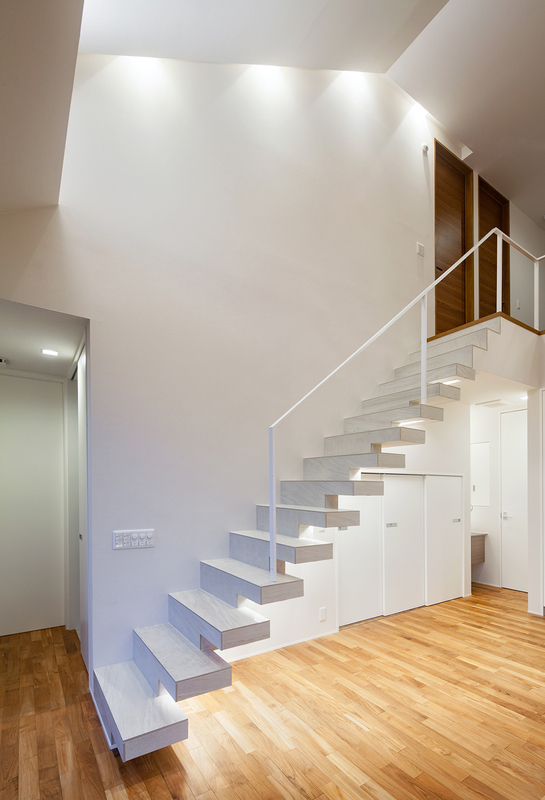 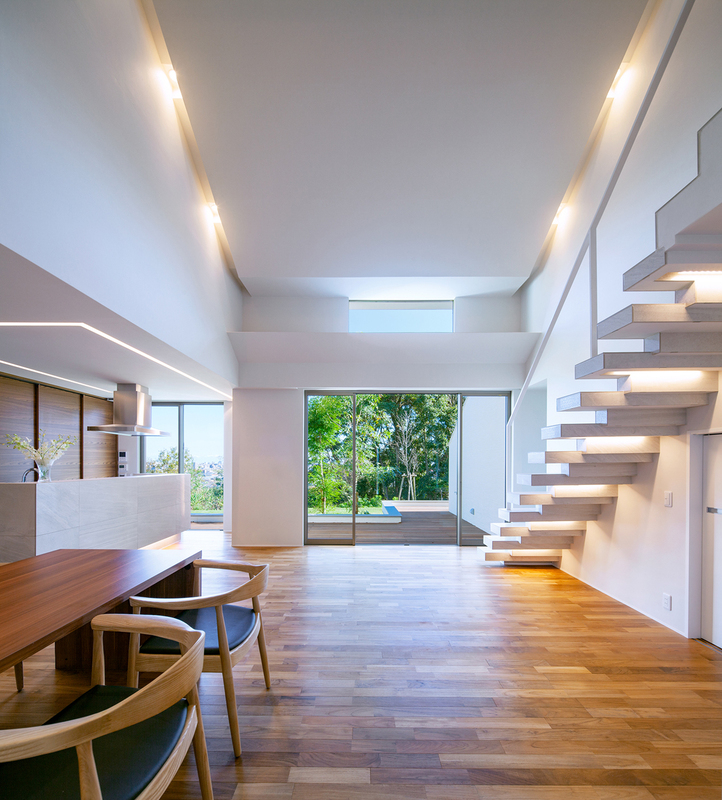 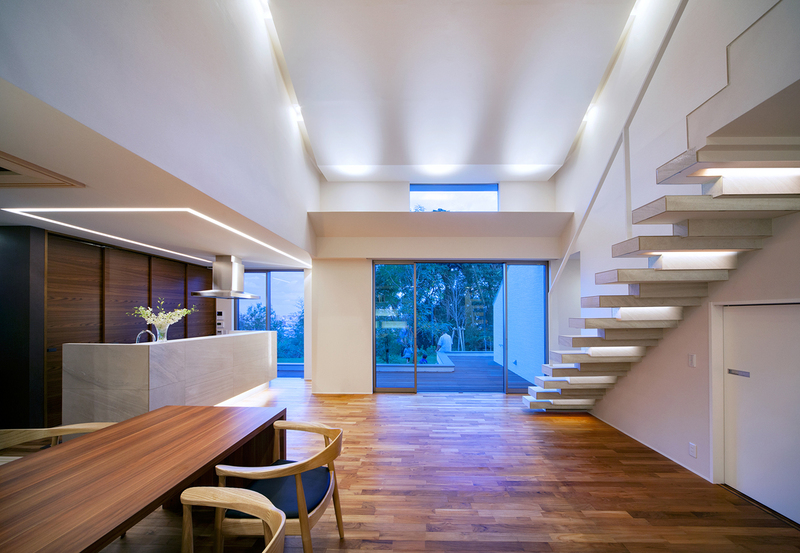 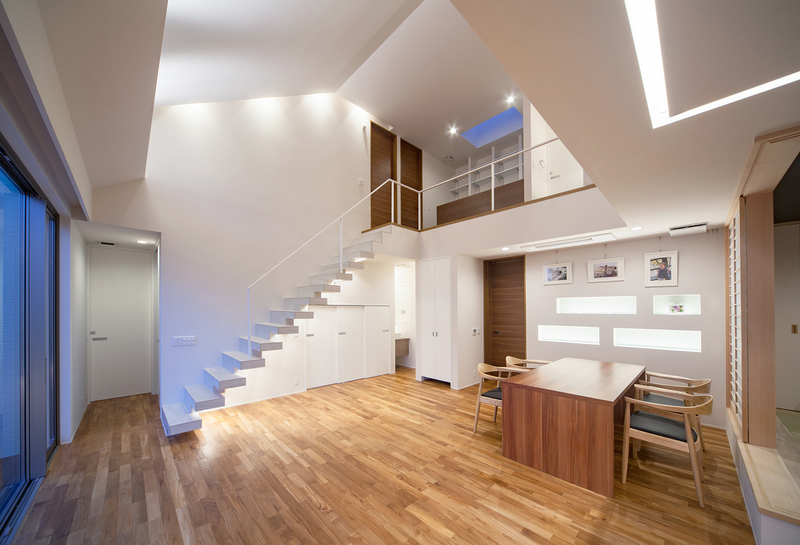 Some openings are also provided on stairs, by providing indirect lighting on stair risers it creates rhythm and floating feeling to the space. 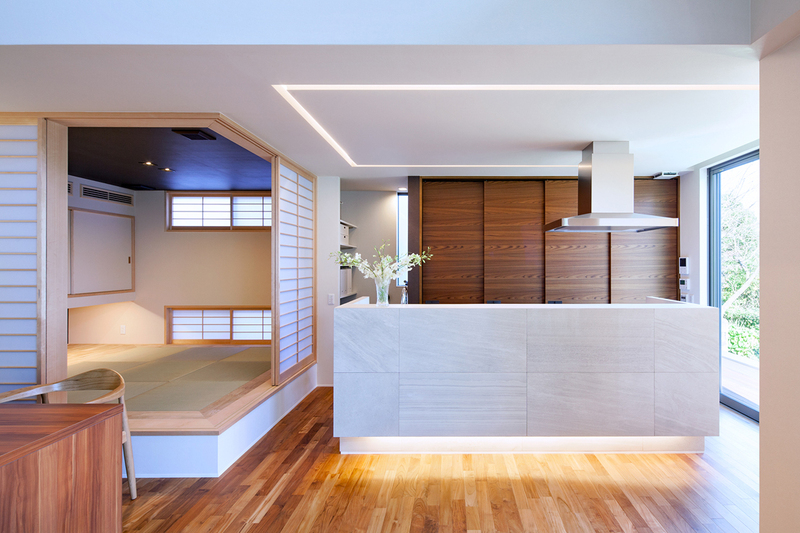 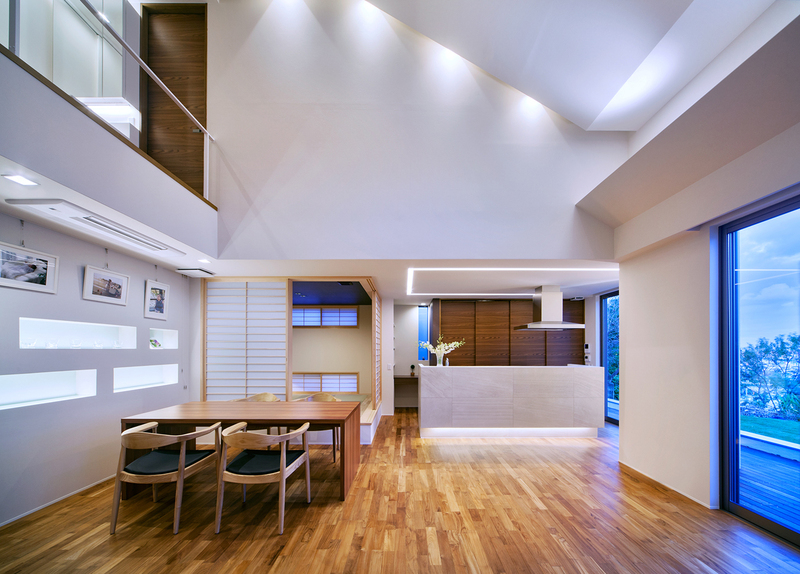 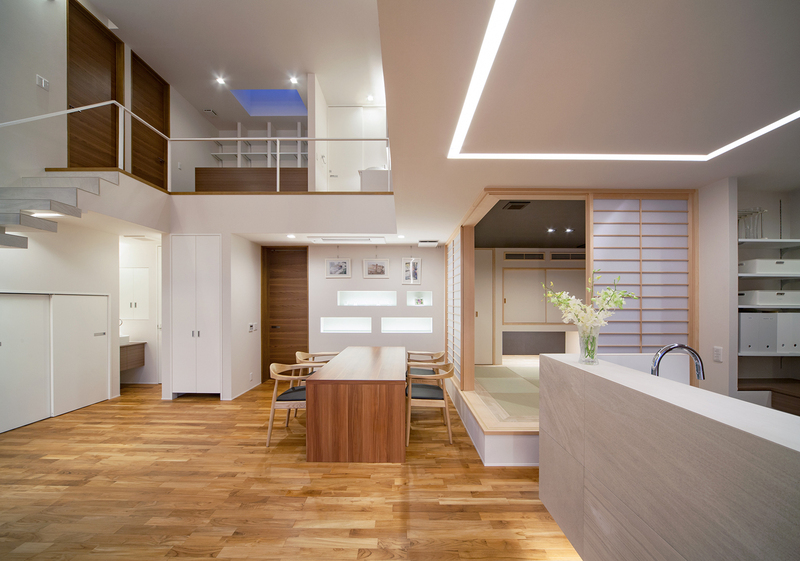 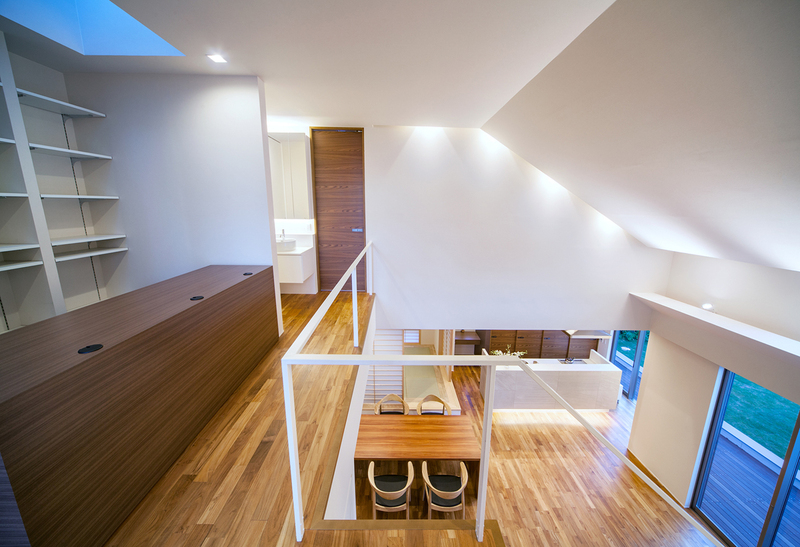 Moreover, by providing a step in Japanese rooms, sense of independence was emphasized. 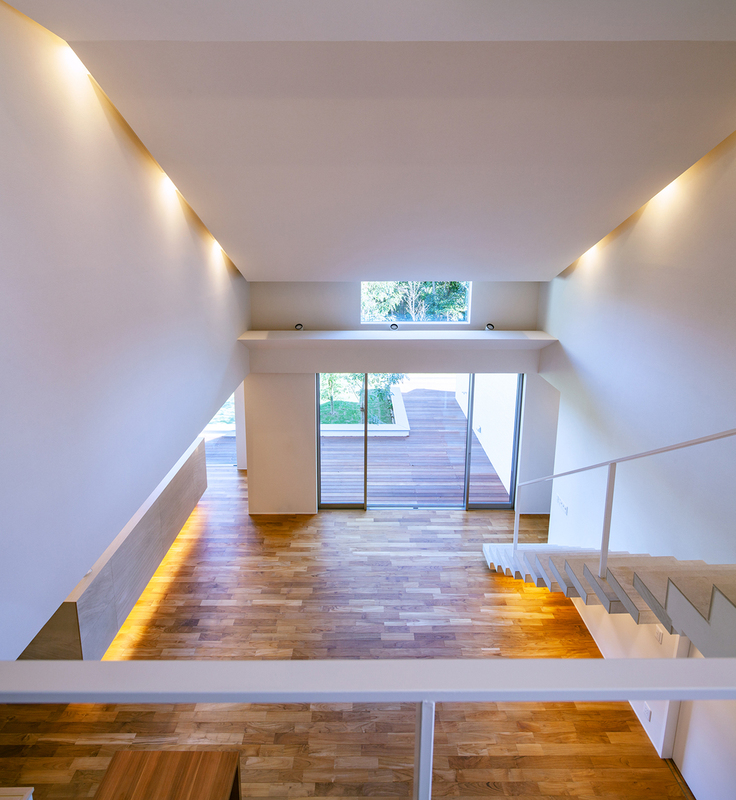 Provided with no partitions, multi-purpose hall on the second floor become a very open space, meanwhile the main bedroom and the nursery at the southeast side become a very friendly to natural ventilation and lightingsince it is provided with a terrace balcony. 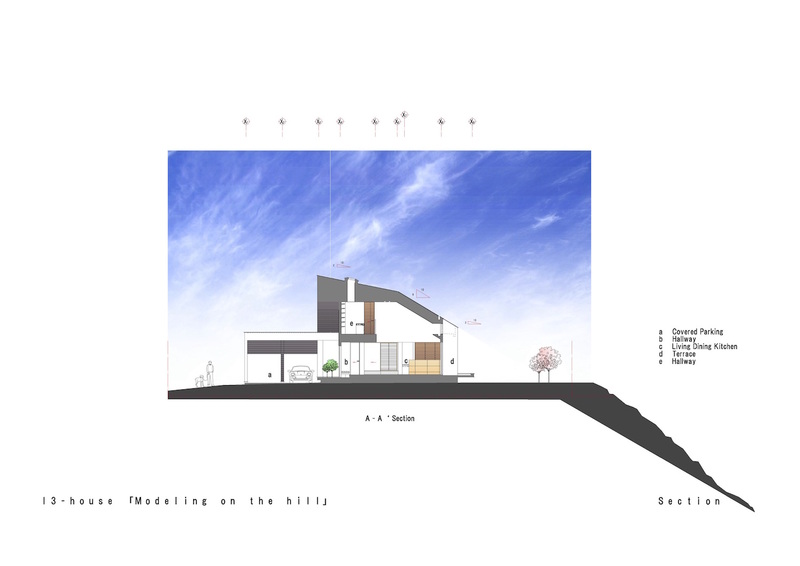 The keyword for I3-House “molding at the top of the hill” design was the natural features of the site itself, they are “wind” and “cliff”. 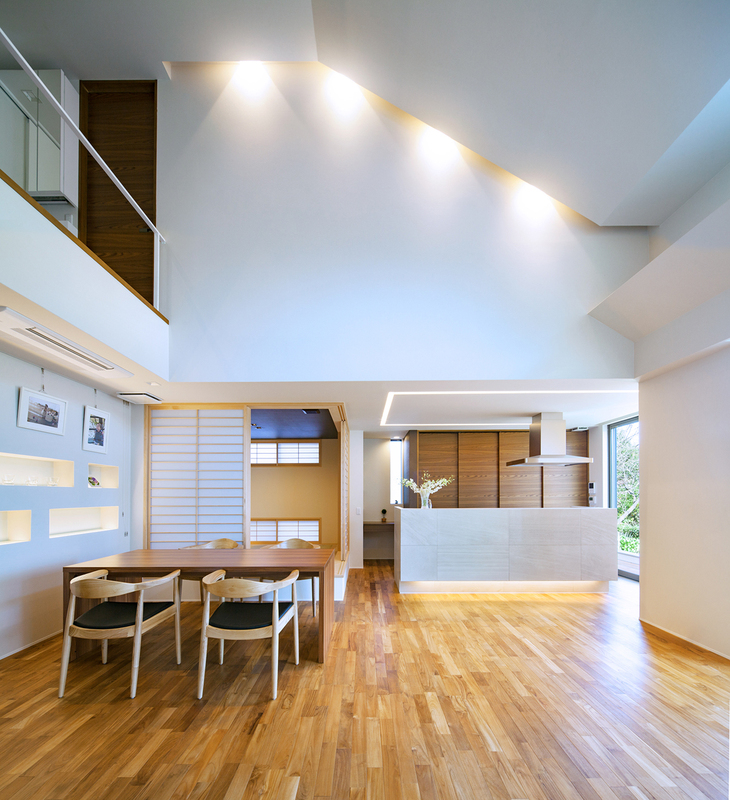 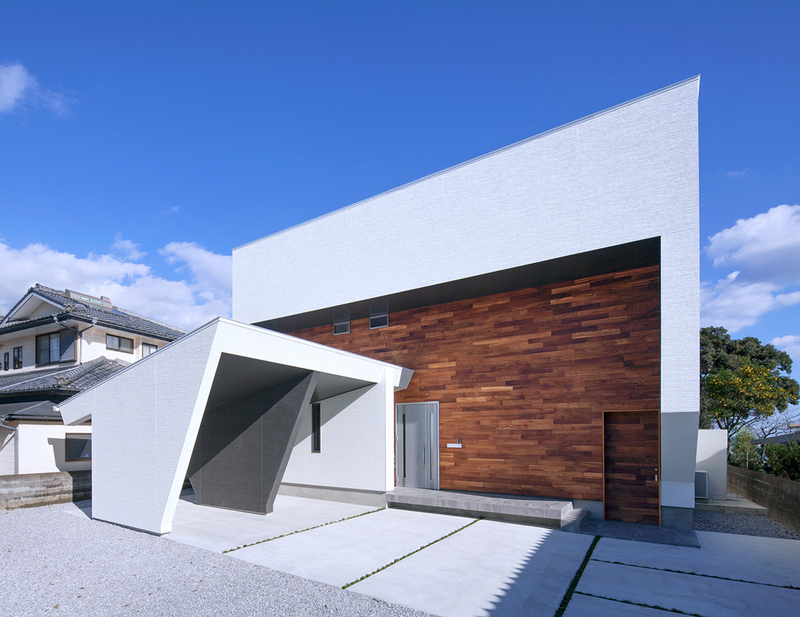 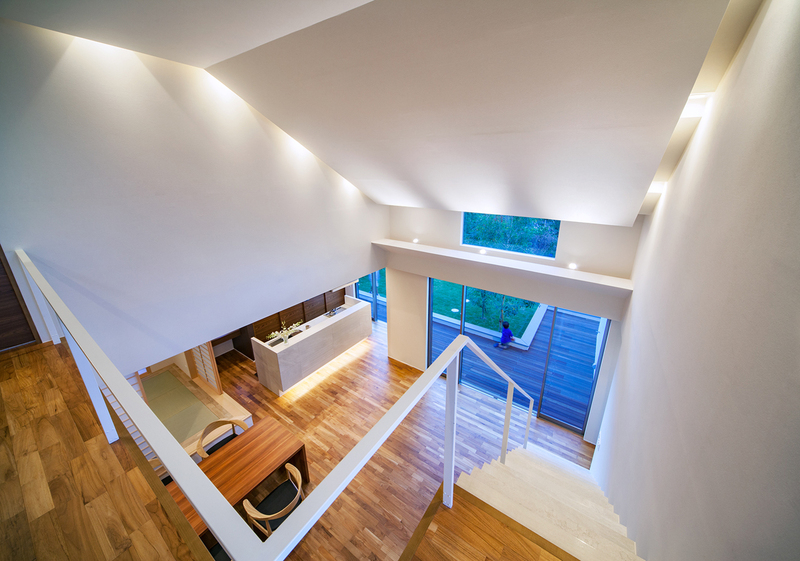 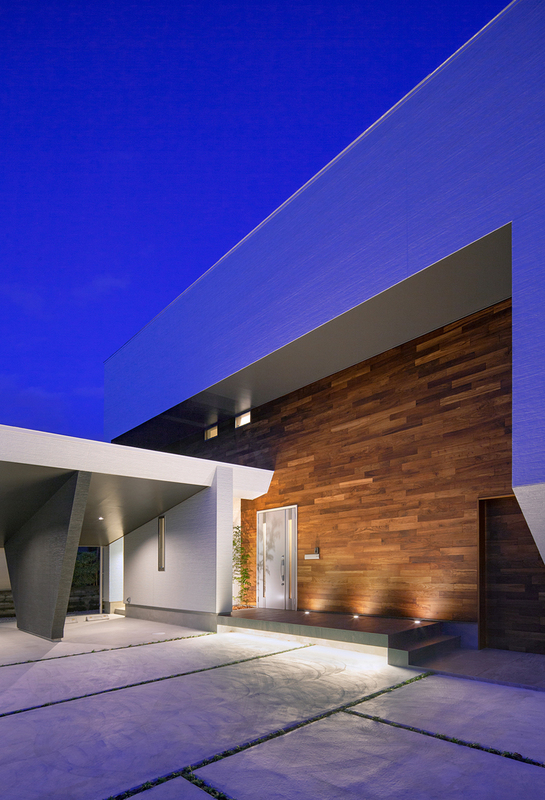 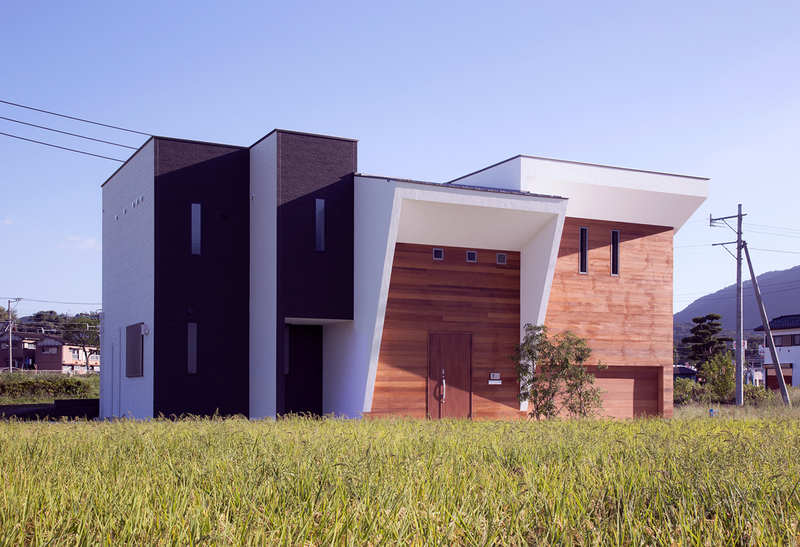 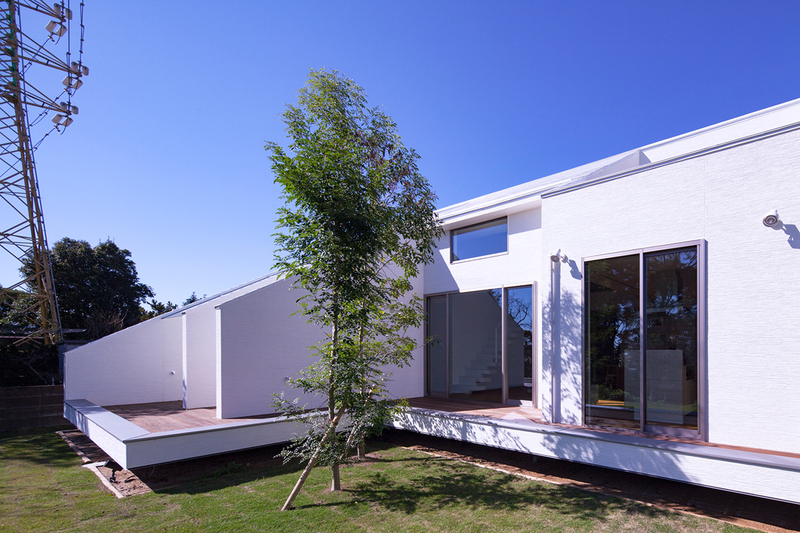 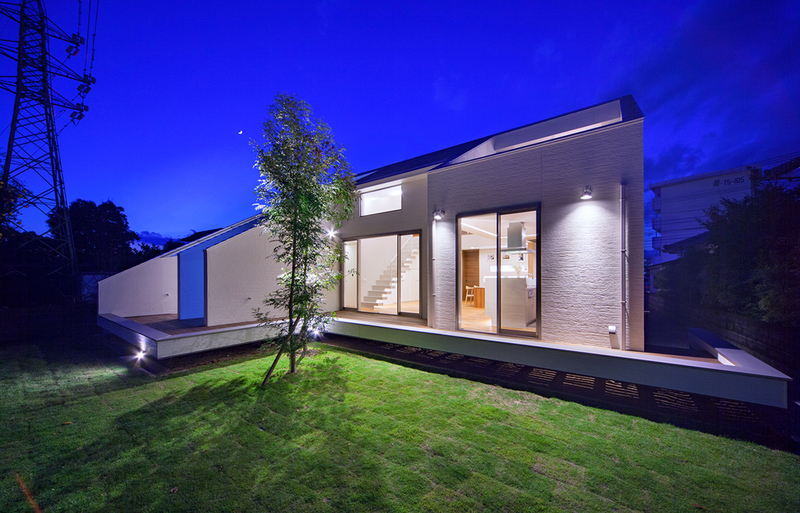 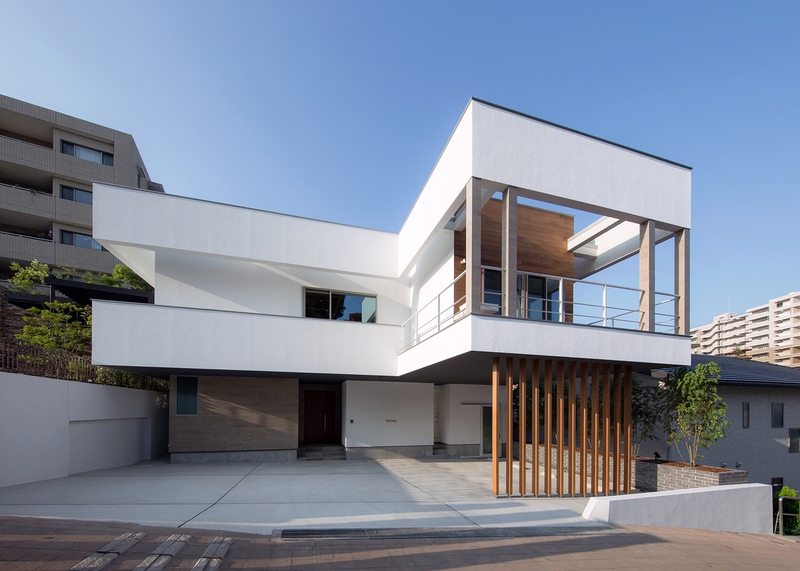 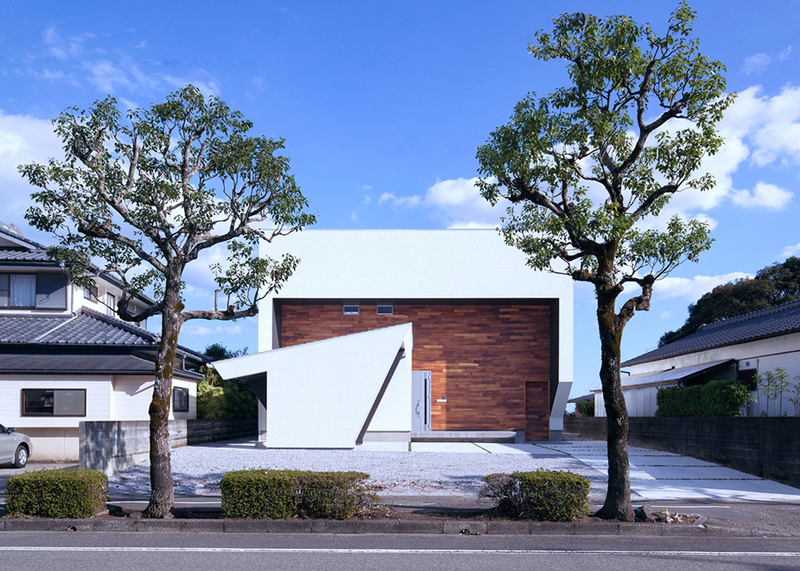 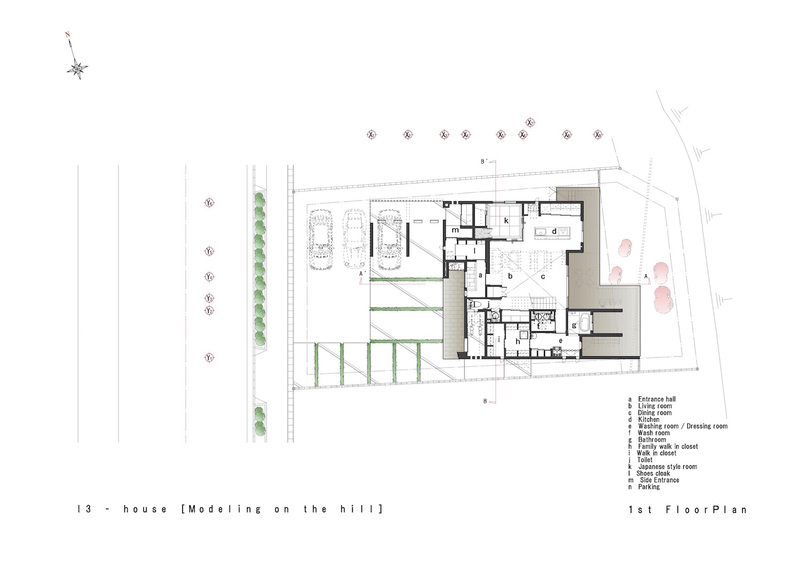 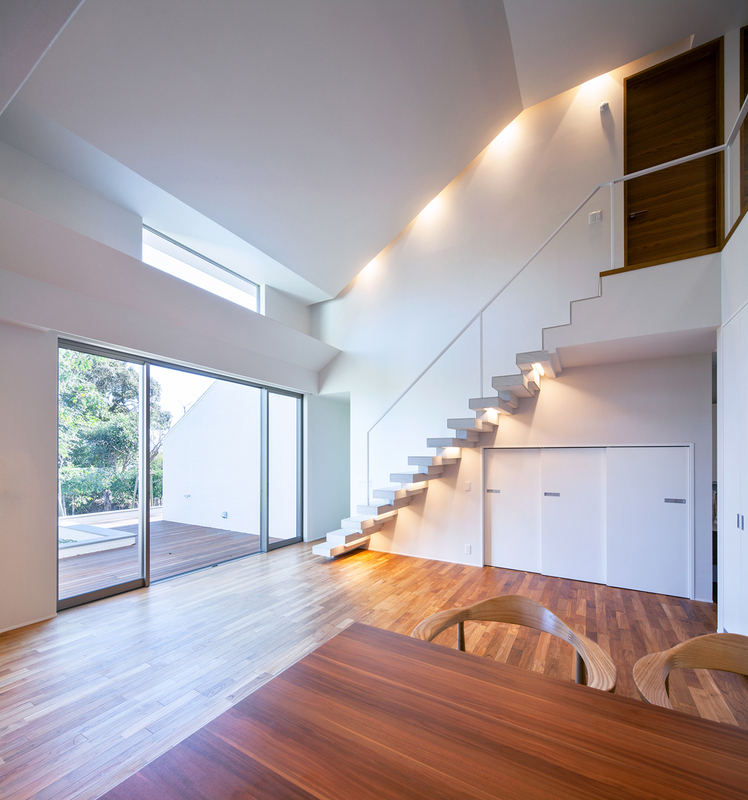 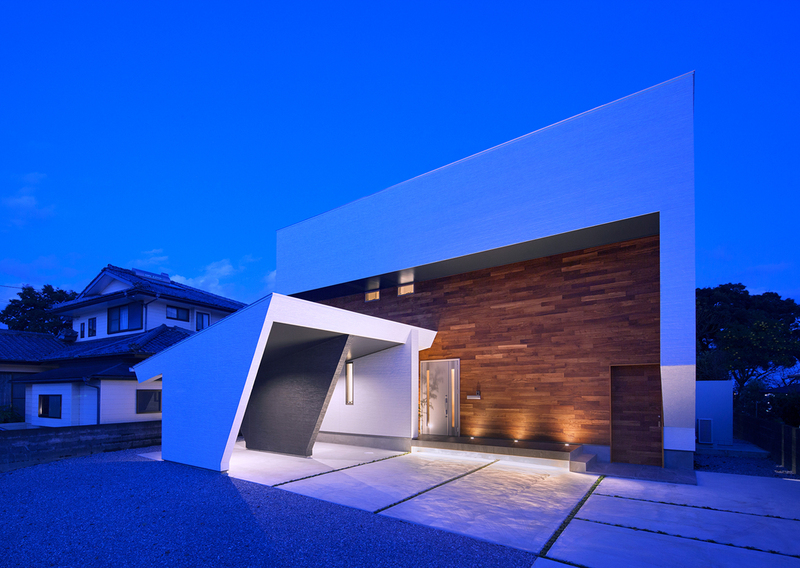 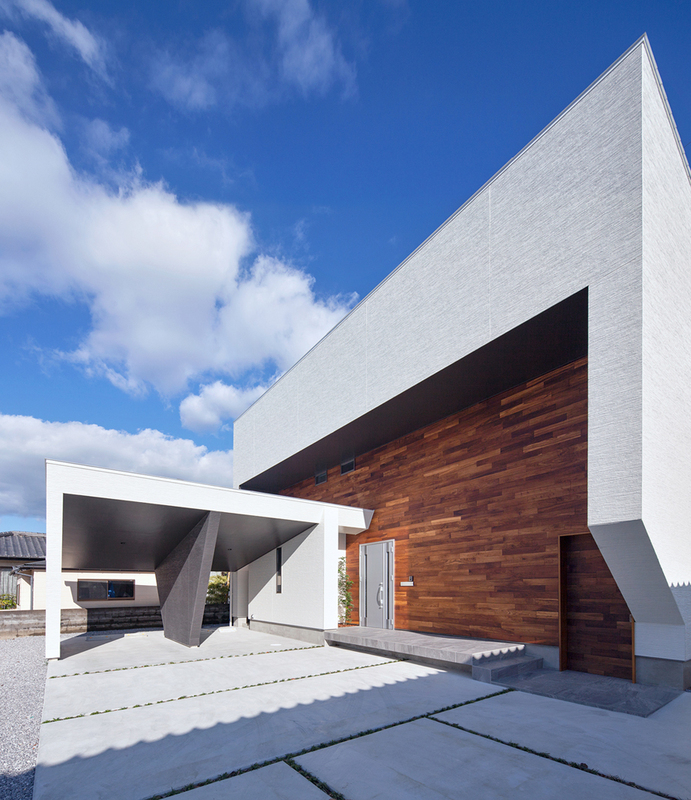 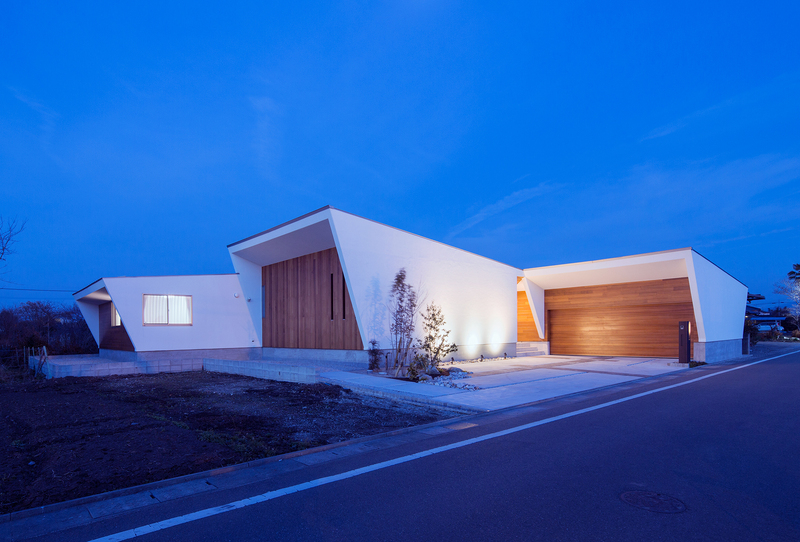 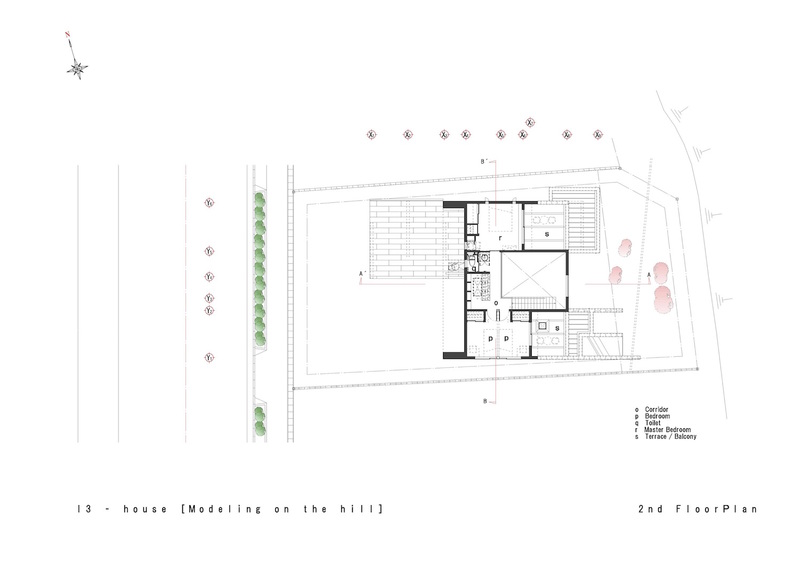 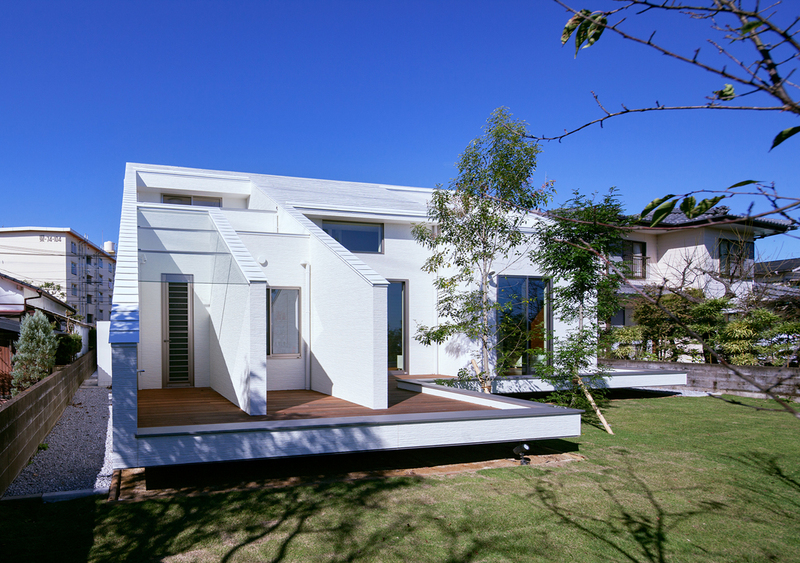 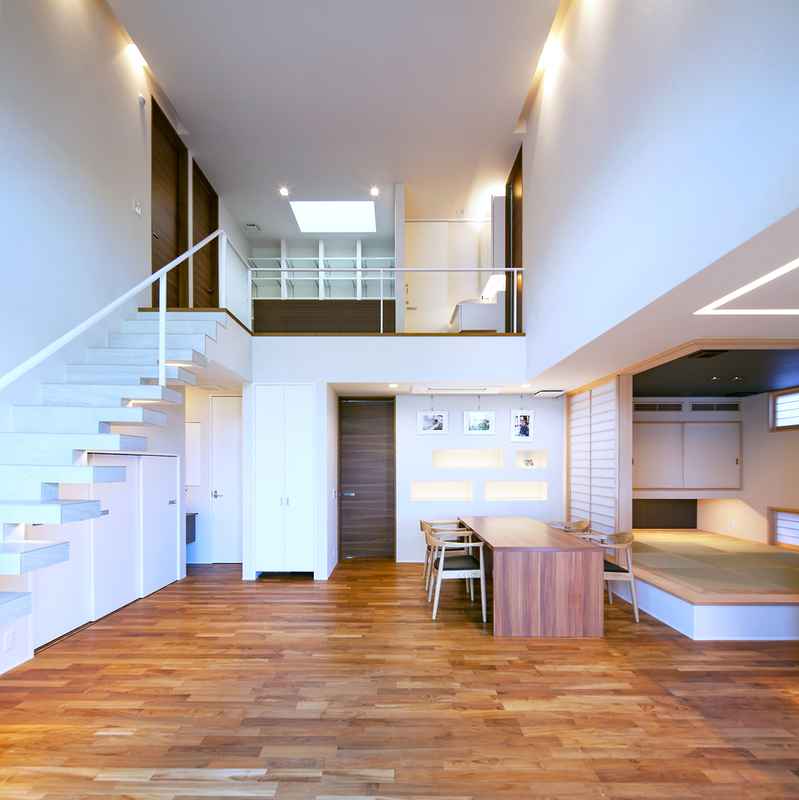 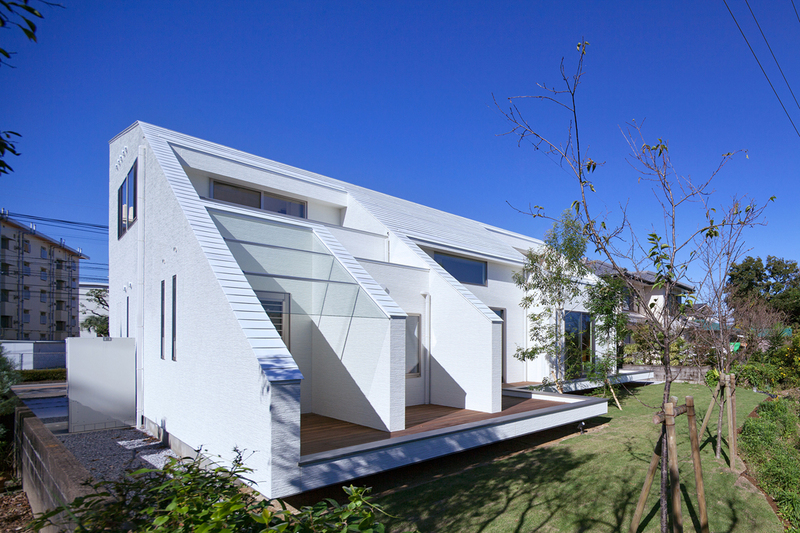 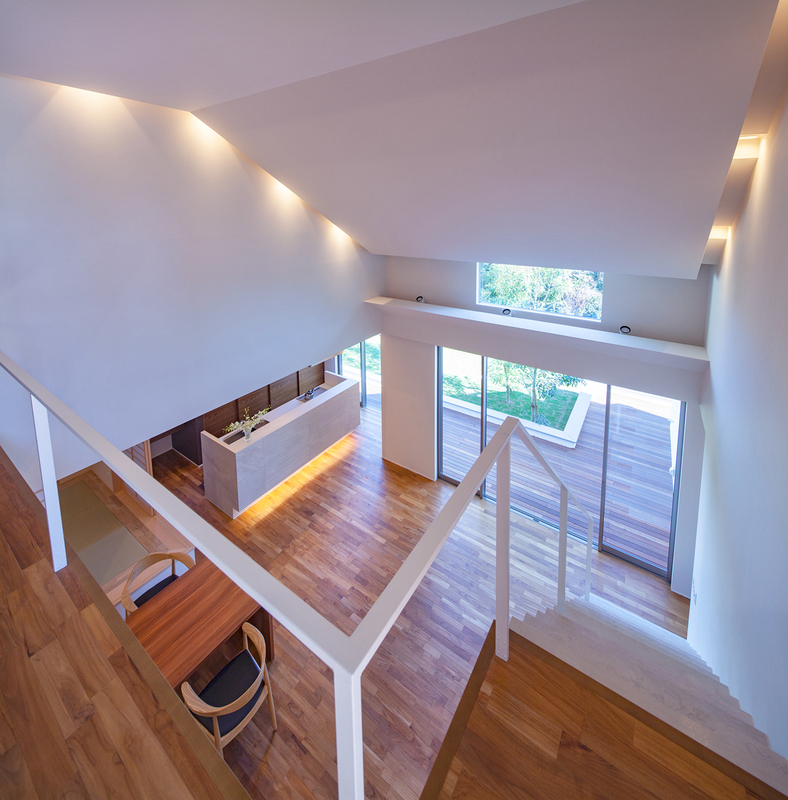 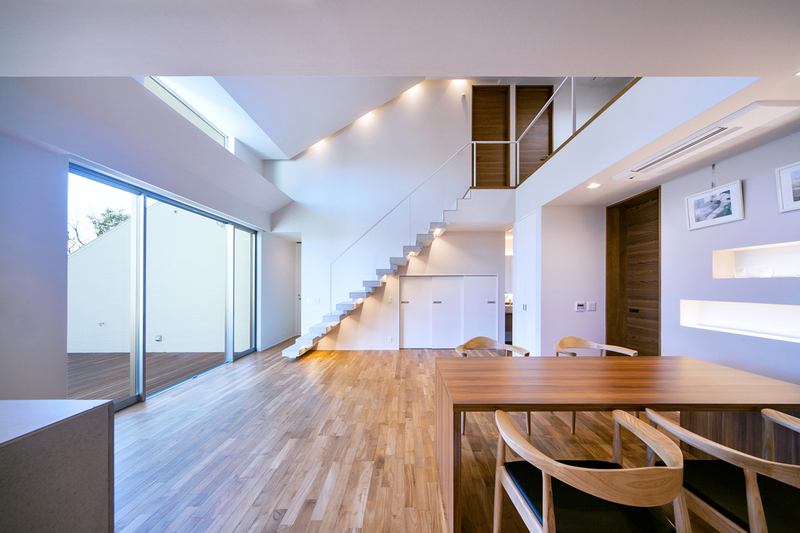 I3-House "Modeling on the hill" in Miyazaki, Japan by Architect Show.